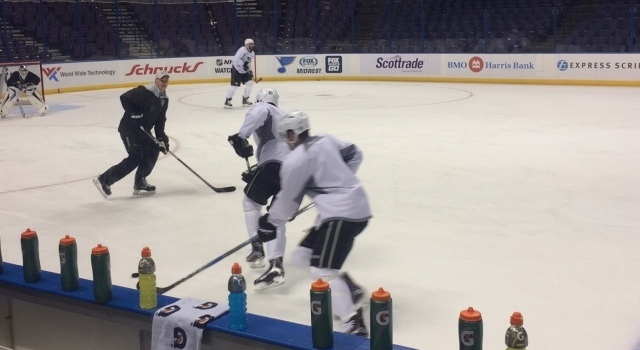 –No surprises: Peter Budaj left the ice first at the morning skate and is expected to start in net against St. Louis. 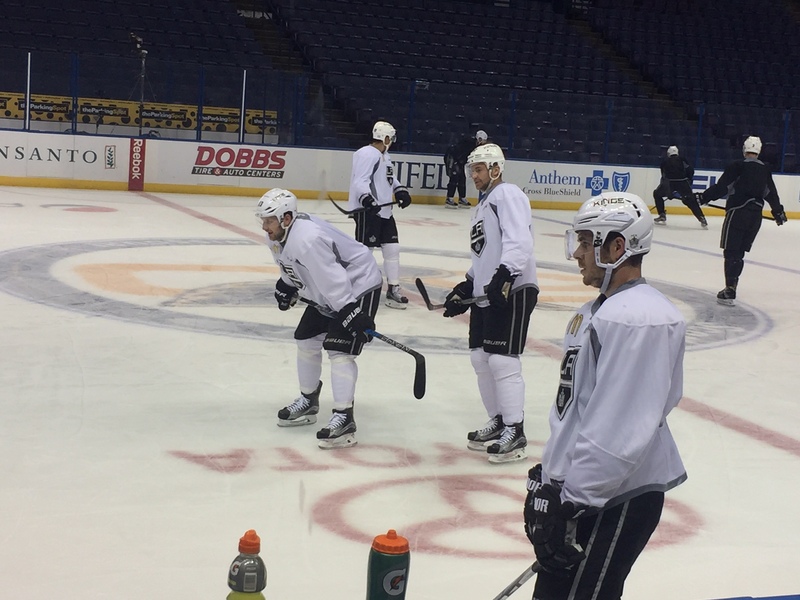 Teddy Purcell, Jordan Nolan and Matt Greene remained on for extra work with Jack Campbell and aren’t expected to play tonight. -There were some terrific quotes from both coaches this morning. I’ll share some of Ken Hitchcock’s quotes as part of a story saved for later today, but Darryl Sutter said, “You’ve got to remember, we started in black and white, right? Now we’re into HD3 and all that stuff, so we’ve been at it through many decades and won lots against each other and lost lots against each other, so there’s a respect amongst older coaches. That’s one of the best parts of going to St. Louis and Chicago, Ken Hitchcock and Joel Quenneville.” Sutter’s next win will be his 600th as a head coach. -Including playoffs, the Kings have won 19 of the last 26 in the series, and have points in four straight (albeit with a 2-0-2 record). The Blues won the season series last year for the first time since the 2010-11 series. -As for St. Louis, the Blues are expected to start Jake Allen in net. The lines, courtesy of Chris Pinkert: Perron-Stastny-Steen, Lehtera-Schwartz-Tarasenko, Fabbri-Berglund-Yakupov and Jaskin-Brodziak-Reaves, with defensive pairings of Bouwmeester-Pietrangelo, Gunnarson-Shattenkirk and Edmundson-Parayko. The Blues have scored one goal in four of the last five, with the outlier coming in the form of a 6-4 win at Calgary one week ago. Robert Bortuzzo (lower-body) is out.